If you are a table tennis or ping-pong player, we always are going to find somebody of this kind! This is not even a joke! But I think I list most of them. I have been writing all I hear in a table tennis club. You will be laughing or maybe you will be using this excuses too. 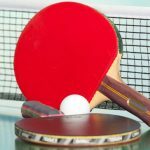 If you enjoy this post share it, with your table tennis friend, I’m sure they have something to say about it!